JAKE Stewart and Liam Tinne have both dropped just one frame in the first four rounds of matches in the Cuestars South Wilts Snooker League. 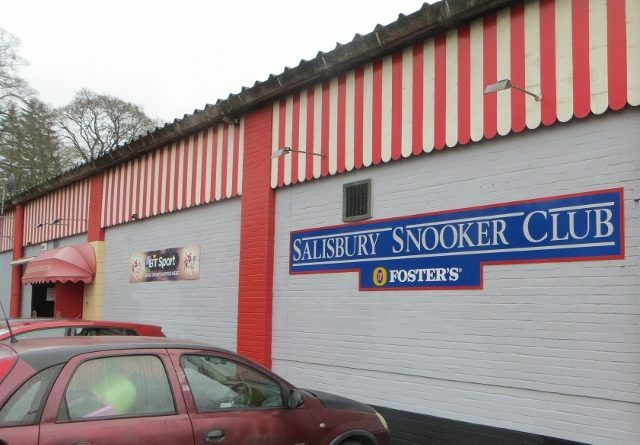 Stewart extended his lead at the top of the table with breaks of 89 and 56 in a 5-0 whitewash of Eddie Mason at Salisbury Snooker Club. And third-placed Tinne, who has played one game fewer, recorded runs of 56 and 43 in his 5-0 victory over Callum McDonald. Tinne said: “I played well and didn’t miss much in the first few frames as Callum struggled to get in and get going. In all all-Fordingbridge clash, Lee Stagg edged David Rice 3-2 in a scrappy match. “We both didn’t play well,” he admitted. Anthony Rice, who is in second place, subjected Graham Wallace to his fourth 5-0 defeat but paid tribute to his opponent from Fovant. “Graham potted some good balls but struggled for position,” he said. Steve Ashton climbed one place to sixth after seeing off Paul Burt 4-1. And Stuart Dreyer beat Richard Arnold 4-1 from 1-0 down. Results: Liam Tinne 5-0 Callum McDonald, Jake Stewart 5-0 Eddie Mason, Anthony Rice 5-0 Graham Wallace, Lee Stagg 3-2 David Rice, Stuart Dreyer 4-1 Richard Arnold, Steve Ashton 4-1 Paul Burt.